Americans use rare earth elements (REEs) every day—without knowing it. In fact, they are crucial to society. Rick Honaker, professor of mining engineering at the University of Kentucky, knows all about these fascinating elements and the modern electronics they make possible. REEs are a series of 17 chemical elements found in the Earth's crust. "On a periodic table, they are typically the lanthanide series, which is the horizontal row at the bottom of the periodic table, plus scandium and yttrium. All of those elements are extremely important for everyday applications," Honaker said. Demand for REEs has risen steadily. Worldwide, electric vehicle production is expected to grow to 30 million cars annually by 2025. "There's about five kilograms of rare earths in every electric vehicle, and we expect electric vehicle production is going to exponentially increase, almost doubling the amount of rare earths that we produce today." The problem? Approximately 90 percent of the world's REEs are currently produced and manufactured in China. Now, is the time for the U.S. to find an economically feasible solution. That's where Honaker comes in. Honaker recently launched a pilot-scale processing plant aimed at recovering REEs from coal and its byproducts in Webster County. 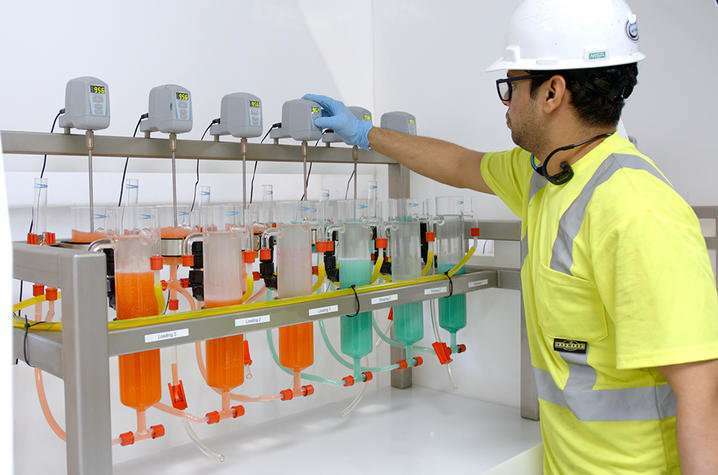 "We'll start off producing a concentrate mix, and we've been successful in the lab—in a continuous form—actually producing a 99-percent pure rare earth product. 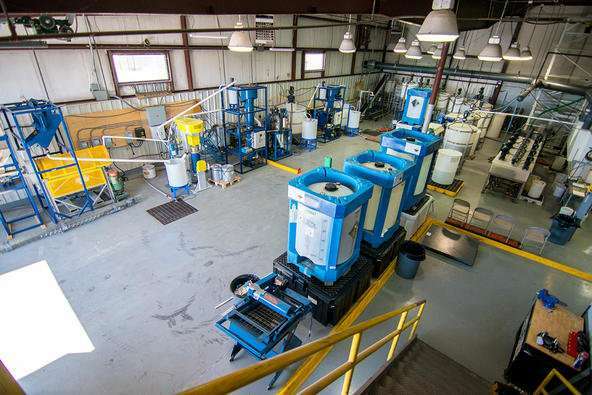 So, we'll be doing that, but we'll also be taking that one step further and actually producing rare earth concentrates." If successful, the process would provide a domestic source of REEs. You might be asking, why is Kentucky leading this endeavor? One of the largest sources of rare earth elements in the United States is the Fire Clay coal seam in Eastern Kentucky. "Since coal is a major economic source in parts of our state, providing a means of recovering an important byproduct adds economic strength and viability to the coal industries," Honaker continued. "So, that's why Kentucky is interested in developing this, as well as the fact that the Commonwealth is a pretty large manufacturing state." Honaker has no doubts they will be able to achieve recovery. So, when asked what the most challenging part of this research will be, he replied, "Economics. Trying to be able to produce it even as a byproduct, and to be economical doing it, is probably our most significant challenge." "The training opportunities that we have are tremendous, and that brings a lot of satisfaction, because that's really what we're here for—to educate and to develop technology. I mean, how many times do you have an opportunity, as a student, both as undergraduate and graduate, to be involved in such a meaningful project?" The project is scheduled to be complete in March 2020. Until then, Honaker and his team will be "very busy."